Since its foundation in 1991 the Kinesiology Federation has represented the interests of kinesiologists from all branches of kinesiology in the U.K. The KF offers a range of categories of membership and aims to build a supportive network for all members. 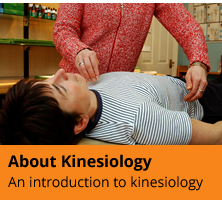 - Reduced price Professional insurance specifically designed to cover Kinesiology with Balens Ltd. The KF is an Introducer Appointed Representative of Balens who are authorised and regulated by the Financial Conduct Services Authority. Members’ extranet on the KF website which includes information on training, course lists, promotion, insurance, cpd and an FAQ section. The KF is a professional organisation, formed to unite kinesiologists in the UK, provide information to them and emphasise their professionalism to the general public. The KF Policy Board acts to protect the public by maintaining standards of training and ethics in our profession. So, if you are a KF member the public knows that you are trained to a high standard and may, therefore, use your services rather than someone else’s. Joining a professional organisation can offer a boost to your career. 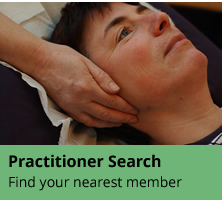 Many clinics, health clubs, spas and hospitals now expect therapists to belong to a professional organisation before allowing them to work there. Finally... When you are a member of the Kinesiology Federation you know that your subscription money goes towards promoting kinesiology, and only kinesiology. We invest your fees to produce professional marketing material, to develop relationships with the media and we actively strive to get kinesiology more widely recognised throughout the U.K.